My son was introduced to BeyBlades in Kindergarten. The boys in his class would battle during recess and bragging rights went to the winner! My son has been hooked ever since. The “Beyblade Burst SwitchStrike Battle Tower Beystadium” is the perfect arena for recess battles! 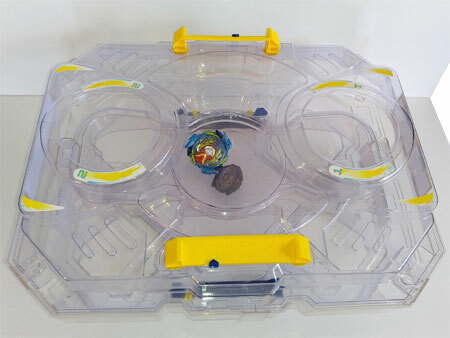 The “Beyblade Burst SwitchStrike Battle Tower Beystadium” is a multi-level battle stadium that can change between 2 and 4 player modes. 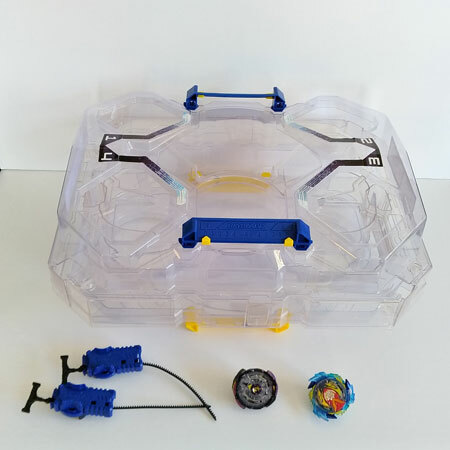 The Beystadium comes with 2 right-spin rippers, and 2 right-spin SwitchStrike BeyBlades – Valtryek and Noctemis. We were disappointed in the rippers that came with this set. They look identical to our old rippers but they do not work as well. 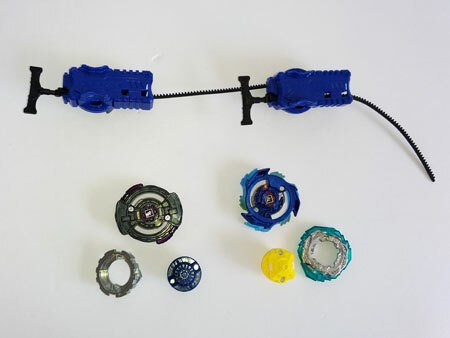 The BeyBlade tops do not lock onto the rippers easily and often just fall off. This causes a delay in gameplay and is frustrating for the players. 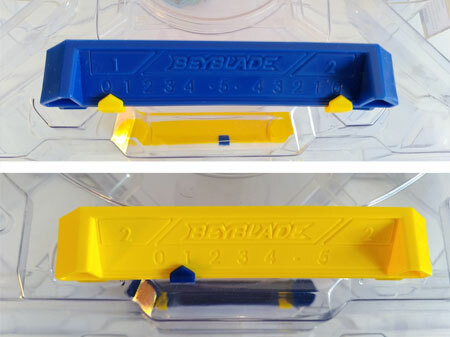 The BeyBlade tops have special features. Strike Valtryek V3 features a spring blade attack and a rare in-battle tip change Energy Layer. Noctemis N3 features dual attack modes & wide attack path. The lock to set these modes is located by the QR Code. My son also discovered the Beyblade app and has been playing it on my iPad. 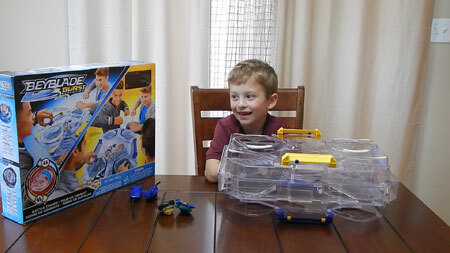 My son loves this Beystadium because of how easy it is to use. At school, he can easily play with a group or against a single opponent. In 4 player mode, launch 4 Beyblade Burst tops and unleash an ultimate battle royale. Flip the Beystadium over to face off against a single opponent in 2 player mode. Each mode has two levels where tops can battle it out and then drop to a lower level. In the past, with other open stadiums, my son has lost pieces at recess. My son likes that when the tops burst the pieces remain inside this stadium. There is no easy way to reach inside the Beystadium to retrieve your top. You will need to reach inside through one of the openings or shake them out. Each player mode has a scorekeeper for 5 point gameplay. This is great for recess battles where little ones get distracted and forget what their scores are between battles. This is my son’s favourite Beystadium. He loves being able to play between 2 and 4 player modes with his friends. *Disclosure: I received a complimentary “Beyblade Switchstrike Battle Tower” through the Amazon Vine Program in exchange for my review. All opinions are 100% my own.